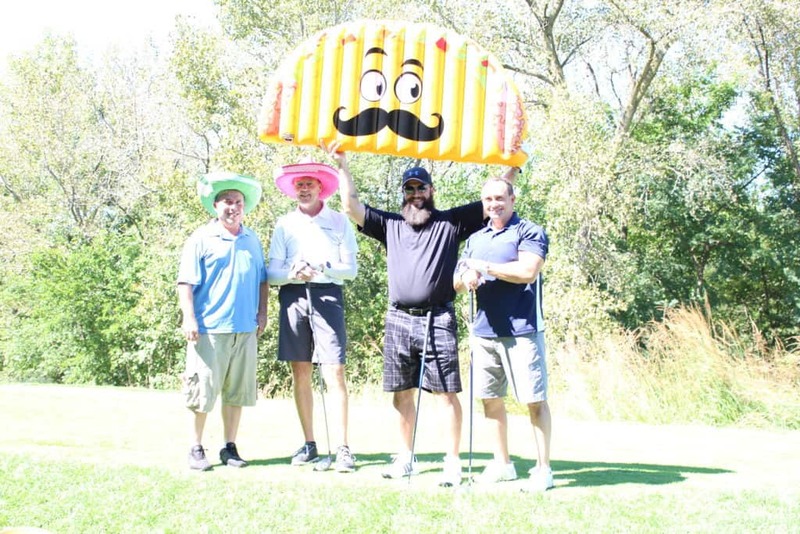 CHANNAHON – The Channahon Minooka Chamber took a chance with its annual golf outing this year, changing the format, theme and even adding an off-site location and it was well-received with more than double the golfers attending compared to last year’s event. The Birdies, Bogeys & Brews Golf Outing, presented by D’Arcy Chevrolet, was held Friday, Sept. 14 at Heritage Bluffs Public Golf Club in Channahon and had 70 golfers in attendance, Chamber Executive Director Christina Van Yperen said. After the golfers wrapped up they headed over to River Hawk Brewing in Channahon for craft beers and lunch from Burrito Loco in Channahon. “Our foursome had so much fun on the course and we definitely enjoyed the brewery and tacos after a hot day of golfing. It was a fun day of networking and working outside of the office,” said Ann Scholtes, Assistant Vice President, Marketing of Coal City Bank-Branch of Bank of Pontiac. In addition to the game, cart, and goodie bag, golfers received one beer and a souvenir River Hawk Brewing glass at the brewery. Once the golf outing festivities were complete, participants, sponsors and volunteers stayed after enjoying the brewery and supporting the local business. The Channahon Minooka Chamber is part of the Grundy County Chamber of Commerce & Industry. This outing is one of two the Chamber hosts every year, the first is in June at Nettle Creek Country Club in Morris. For more information on the Chamber or on future events, visit grundychamber.com, email [email protected], call 815-942-0113 or download the free Chamber App.